Gail graduated from Arrowhead High School and attended University Wisconsin-La Crosse for 4 years majoring in Music Performance and Secondary Music Education. After moving to Arizona and Virginia, Gail came back to Wisconsin and began her career as the Administrative Assistant at Divine Redeemer in April of 1984. Gail sings and plays the violin in “One Voice”, one of the praise bands at Divine Redeemer. Gail has 3 children; Mallory, Charlie and Abby and a granddaughter, Camryn. All of her children attended Divine Redeemer Lutheran pre-school through 8th grade and they all graduated from Lake Country Lutheran High School. Her granddaughter Camryn is now attending Divine Redeemer pre-school! 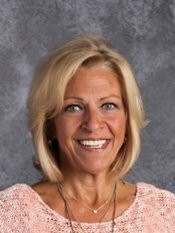 She enjoys fishing, watching the Packers, Zumba, jogging, music, spending time with her family, boating, swimming, gardening, and just being out in the sun period!